This guide provides resources to help with business communication, focusing on academic integrity, business writing, presentations, citing and referencing, and using web resources. 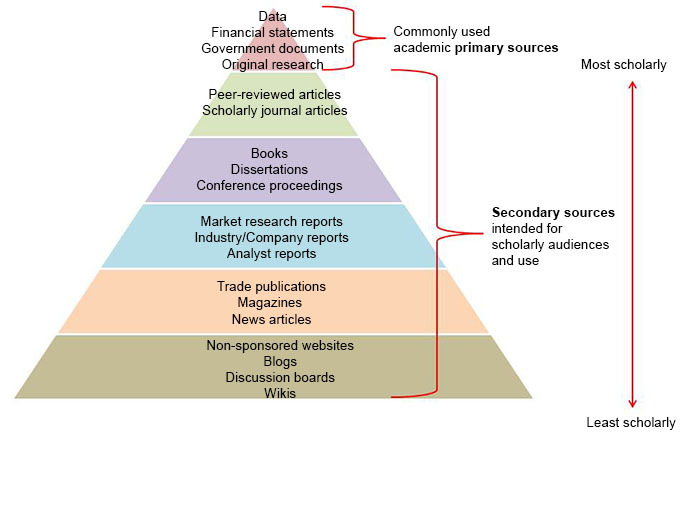 This visualization of information sources portrays some of the main sources for business information and their relative order (descending) in terms of prevalence in scholarly work. Your choice of information sources will depend on the type of information for which you are searching and how you intend to use the information. This research guide was created by the Business Library and provides extensive resources to help with citation and referencing for business. 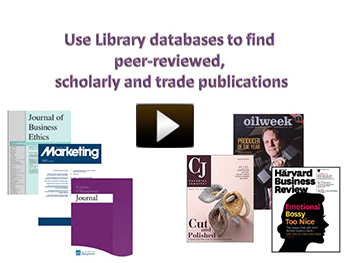 Includes access to examples of citing many business resources in APA and JOM styles. Purdue University's Online Writing Lab. This is a very comprehensive site providing guidance on every aspect of academic writing, citing and referencing. Provides in-depth information on all aspects of business writing including letters, memos, technical reports, and more. PACKAGE THIS TITLE WITH OUR 2016 MLA SUPPLEMENT, Documenting Sources in MLA Style (package ISBN-13: 9781319088637). Get the most recent updates on MLA citation in a convenient, 40-page resource based on The MLA Handbook, 8th Edition, with plenty of models. Browse our catalog or contact your representative for a full listing of updated titles and packages, or to request a custom ISBN. From formal reports to everyday e-mails, The Business Writer's Handbook uses smart, accessible language to spotlight and clarify the ways we write today. Hundreds of topic entries, 90+ sample documents, at-a-glance checklists, and dynamic videos break down the best-practices, models, and real-world skills that successful writers use to communicate clearly and persuasively.Developed by a legendary author team with decades of combined academic and professional experience, the book's intuitive, alphabetical organization makes it easy to navigate its extensive coverage of grammar, usage, and style. Plus, updated, in-depth treatment of pressing issues like the job search, the writing process, documenting sources, and social media resonates both in class and on the job. With a refreshed, integrated focus on the ways technologies shape writing, the Eleventh Edition of the Handbook is the indispensable reference tool for writing successfully in the workplace.